HOME pride is at stake at the South African Open with almost all of the country’s top players in the field, determined to stop a repeat of last year when England’s Chris Paisley took the title. The 32-year-old recorded a bogey-free six under 66 in the final round to finish on 21-under par for the tournament and did so with his wife, Keri, standing in as replacement caddie for the event - the first time she has ever been in the role - as he became the third Englishman to win the tournament in four years after Andy Sullivan's success in 2015 and Graeme Storm in 2016. Paisley's last win came on the Challenge Tour in July 2012 when he secured a two-stroke success at the English Challenge and he recorded four more top 10 finishes to rank 12th at the end of the season to earn a European Tour card. The Hexham-born golfer had several near-misses since graduating from the Challenge Tour with third place finishes at the 2015 BMW International Open, 2016 Italian Open and Made In Denmark, ending the year ranked 112th in the Race to Dubai. 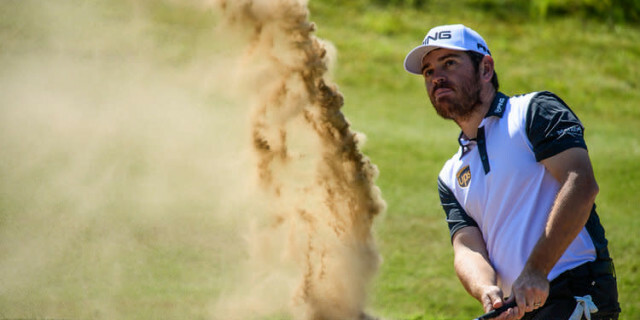 Louis Oosthuizen, George Coetzee, Brandon Stone and Branden Grace are all in the field and it would be a surprise if one of them does not come out on top. English success in this event has been a surprise since it is always played on courses that feature grainy greens, and they take some getting used to. The home players learnt their games on such putting surfaces. So before we get to the home challenge, let’s take a look at the man who is most likely to ruin their week. Matt Wallace once won five consecutive tournaments on something called the Alps Tour. It is a development tour but nobody wins five events on the spin on any circuit unless they can play a bit. He then came out onto the European Tour and won again. That was good enough but in the season just ended he only went and won three titles. And in some spectacular style. Unfortunately, he chose to find his very best form at events that didn’t offer huge prize money and somehow managed to miss out on the Ryder Cup. He would have been a real asset to Thomas Bjorn’s team although, as it turned out, they did quite nicely without him, thank you very much. He played a lot of golf last season and finished it off with a terrific run at the DP World Tour Championship. Wallace is 6ft 1in and tips the scales at 13st 5lb - in other words, the perfect build. At 28 years of age, he is something of a late developer and much of that could be down to his temperament. The Englishman is a perfectionist who always expects the very best of himself. He is not quite as bad as Tyrrell Hatton but he does operate on a short fuse. However, he admits that he has now recognised that it is a problem and is working hard to keep it all under control. And the big thing is that his four wins on the European Tour have given him enormous self-belief. So he is in South Africa to win - and he has the Race to Dubai title firmly in his sights. Grace may have something to say about that. For reasons that your correspondent fails to understand, the South African remains hugely underrated. The 30-year-old has eight wins on the European Tour to his credit and has also won on the PGA Tour. He is a hugely impressive individual and highly popular among his fellow professionals. He divides his time between both tours and it is a difficult balancing act. Grace played 18 events on the PGA Tour last season, making 16 cuts. There were plenty of top-25 finishes but no victories in the United States. It was an “almost” season and Grace has no interest in “almost” seasons so you can be sure he will be working extra hard to ensure that he does better in the coming 12 months. He finished second behind Paisley when the tournament was staged in January and is desperate to go one better and secure his national open. The same is true of Oosthuizen and Coetzee, both of whom could be described as under-achievers. That may seem somewhat unfair on Oosthuizen, who won The Open at St Andrews in 2010, but he would be the first to admit that he should have added to that total. There was a near-miss at The Masters and there have been decent showings at the US Open and the US PGA Championship but a man who swings the golf club as beautifully as this guy does should have four or five majors to his credit by now. His weakness is on the greens, where he seems utterly unable to settle on a method with which he feels comfortable. He putts conventionally and then he changes to left hand below right, and he has also experimented with various adaptations of the claw grip. But here is the thing - he looks most comfortable when he putts in conventional style. Coetzee is an enigma. A massively impressive ball striker, he seems to have just about every shot in the book. He is a man who should be shooting the lights out in America. He won the Tshwane Open but there were nine missed cuts on the European Tour and times when he looked utterly disinterested. And despite that win, he finished 69th in the Race to Dubai and missed out on the Dubai World championship. To put things in perspective, had it not been for his victory he would have lost his playing privileges. And he is simply far, far too good to be suffering in such a manner. Austria’s Bernd Wiesberger continues his rehabilitation from a horrific wrist injury by playing for a second week on the trot. He has worked incredibly hard to get back into shape and will be looking to recapture his very best form before long. 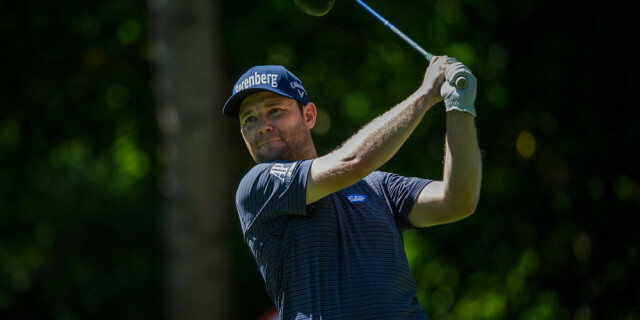 Branden Grace. Hugely underrated. Why? George Coetzee. Will the real George please stand up?